Toxic. Sour. Atomic. Why We Love To Hate Gross Candy? For much of the past year, I have fought a one-sided battle with a popular fast casual restaurant chain that we’ll call “Ready.” Unlike most restaurants, Ready doesn’t make sandwiches, assemble salads, or otherwise perform acts of cookery upon customer request. Instead they sell nominally healthy, whole-ingredient-based pre-made soups, salads, and sandwiches. Because I’m lazy and impatient, I’m Ready’s perfect customer and not just because Ready has a location in Popular Sciences’ building. They also have another four locations (including one that sells beer) along my commute. So you’d think that Ready sandwiches would be a regular part of my nutritional rotation. But they aren’t, because Ready’s sandwiches are disgusting. The problem is that Ready saturates almost every sandwich with a miasma of mayonnaise. When Ready doesn’t use mayonnaise, they use a yogurt dressing which is mayonnaise for people who are ashamed that they’re eating mayonnaise. The shame is justified, the yogurt dressing is not. Sometimes Ready uses a less vile condiment, like a whole grain mustard—a condiment with dignity. But when they do, the powers that be cannot allow its presence to go unmolested. No, the mustard gets mixed in with mayonnaise in an abomination called mustard-mayo. Mixing Sriracha with diarrhea doesn’t improve the presence of the latter. Why would adding mustard to Satan’s sauce improve the situation? If comparing feces to a condiment seems like a gross comparison, well, welcome to the science of disgust. Disgust, for the record, is distinct from dislike. “Feces is the universal disgust, like the first disgust,” says Paul Rozin, a professor of psychology at the University of Pennsylvania who has researched disgust since the 1980s. In addition to being an expert on disgust Rozin is also the researcher who coined the phrase “benign masochism” to explain why some humans enjoy the burn of chili peppers. Disgust, theorizes Rozin, originally evolved as a way to keep humans safe. Hanging around each other’s excrement, for example, is an excellent way to spread diseases so we learned pretty early to avoid the stuff. For example, I dislike red delicious apples – they’ve been bred to be too sweet, they have a weirdly chalky texture and they don’t really taste like anything. But in a pinch, I can eat them just fine, and if you dropped a slice of one in my cocktail I might fish it out, but I’d still drink the cocktail. But if you were to slip a cockroach in my cocktail, even if you fished it out, even if I was very drunk, I probably wouldn’t drink the cocktail. The idea of drinking it would cause a real, physical sensation of revulsion that’s hard to overcome. That feeling is disgust, and while it may have originated in feces it’s generalized to include most bodily fluids, and, depending on the individual, certain foods. And disgust is how some of us feel about mayonnaise. How mayonnaise can trigger disgust? As far as Rozin knows nobody has ever done a study specifically on mayonnaise disgust, but based on his previous research on disgust he posits that it’s mayonnaise’s texture that’s the culprit. It’s viscous quality is the sort of thickness that you’d get from fluid oozing out of a rotted carcass as anyone who has ever poked a rotted squirrel with a stick can attest. Disgust also tends to align strongly with our revulsion about bodily fluids. We don’t exactly market lemonade by saying that it looks like pee. And the creamy appearance of mayonnaise isn’t dissimilar from what would emerge from say a popped zit. Delicious. Of course the fact that mayonnaise triggers my sense of disgust, doesn’t really matter to any company’s bottom line. Stores like Ready should only care about my condiment vendetta if there are more of me. 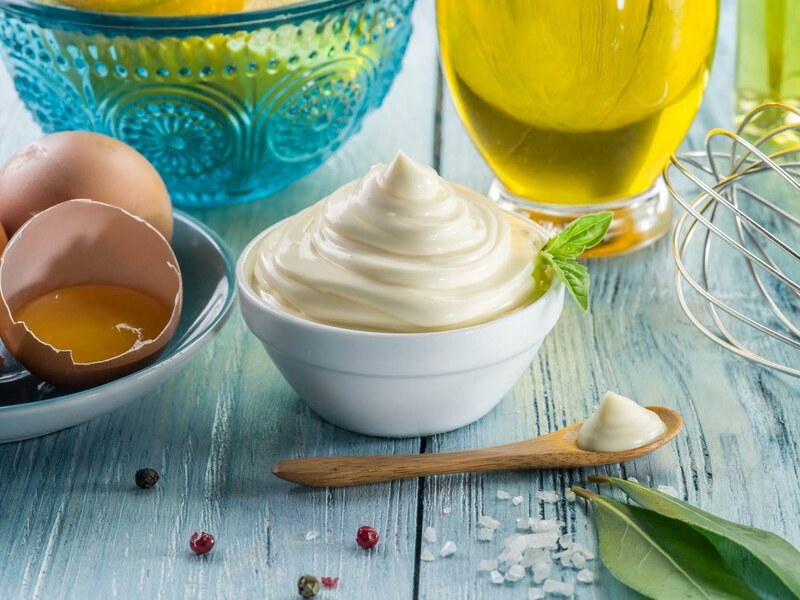 “The percentage of people who don’t like mayo it’s probably close to 20 percent—it’s not trivial,” says Herbert Stone a food sensory consultant. I’d called Stone to figure out whether I was unique in my mayonnaise aversion. While he can’t put a precise number on how many of us just dislike mayonnaise versus experience disgust, the big take away is that I’m not alone. Even a quick survey of Popular Science’s office found that at least one other staff member doesn’t really like mayo but she’ll eat it when she has to, while another, like me, wholly avoids eating Ready’s sandwich selections because the ubiquity of mayonnaise on their menu. And a quick Google search reveals websites and songs, devoted to people’s hatred of this ubiquitous condiment. You haven’t noticed? Lucky you. Here’s how prevalent mayonnaise is: at a conference I went to they had five sandwich types including a vegetarian, a vegan and a gluten free sandwich – every single one had mayonnaise on it. Yes, even the vegan sandwich had vegan mayonnaise. At a different conference, the only option without mayonnaise was a gluten free sandwich. One percent of Americans have Celiac disease but 20-percent of Americans can’t stand mayonnaise. Granted, one is a life threatening autoimmune disorder, but it’s a lot harder to make a decent gluten free bread than it is to put the mayonnaise on the side. The only thing worse than not being able to eat a sandwich because someone didn’t have the forethought to put the mayo on the side is biting into an unexpected mouthful of the stuff. I call this surprise mayonnaise. Everyone expects mayonnaise in tuna salad, for example, but the mayonnaise slathered on my barbecue chicken sandwich was not expected. Who mixes barbecue sauce and mayonnaise? Nevadans, apparently….